We love surrounding ourselves with possessions to display our curiosities and tell the rich story of our lives. Styling discipline however works wonders, especially when selling property. Just like my diet to my body lately;). The paradox is that it looks like it requires the least amount of resources, like time and amount of props. Sometimes its true. What’s for sure, is that it looks luxuries, refined and understated. I analysed minimalistic styling, so if you like the look it might help the next time you want to style for sale. Notice that in above photo the props are very streamlined. Simple, geometrical shapes enable your eye to have visual rest. Cubical boxes, round vases. That’s all, no trumpery. Use primarily contemporary objects, but don’t forget to add some old and vintage to balance it out! You need space to breath freely. It makes the view spacious and calm. That’s exactly what you need, especially when dealing with small space. The old school was to use bright colors, but that look is harsh and synthetic. Stick to natural materials/colors. You will need to add a bit of drama, otherwise it might get too mellow – that’s where black comes in. 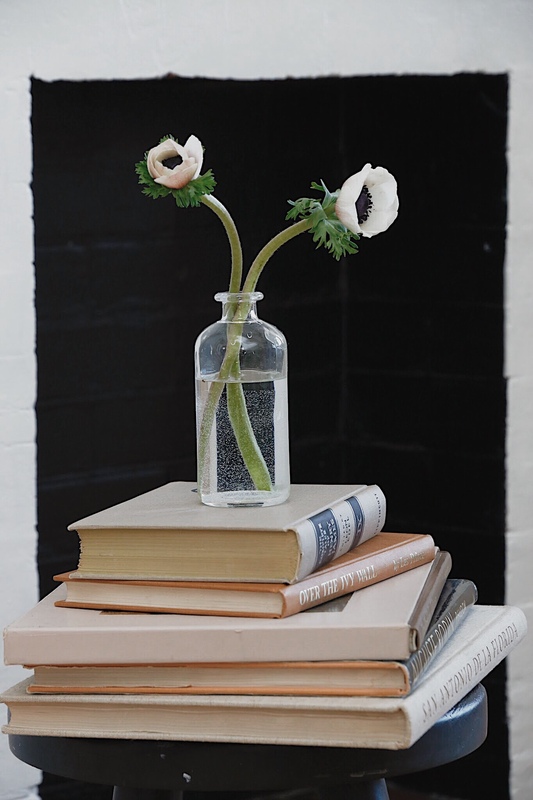 The details – it can be art, lots of books, wrinkled bedding, plants and flowers. Or drink in the glass. Anything that says the story you want to convey. But don’t go crazy, remember rule #3. And how do you style? Do you like minimal styling? Do you think it’s useful when staging? I would be very thankful if you shared the post in any way! Next Entry Beige is back!